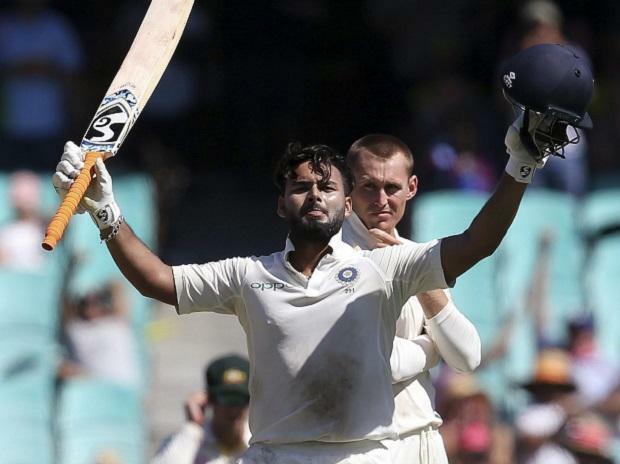 Rishabh Pant might have created a new record for an Indian wicket keeper by taking 11 catches in a Test in Australia, but former stumper Farokh Engineer says the Delhi youngster has a lot of technical problems in his primary job, while praising the left hander's batting heroics. Engineer said Pant reminds him of his young days. "His approach is same as M S Dhoni's. But don't praise him sky-high at the moment. Encourage him. (But) He's technically so incorrect," said the one-time flamboyant wicket keeper batsman at Legends Club's talk show at the Cricket Club of India here Wednesday evening. Pant had also scored a blazing hundred, the first by an Indian wicket keeper in Australia, in the drawn final Test at Sydney to top his record number of catches behind the stumps in the first match of the series at Adelaide. Pant's flamboyant batting exploits, however, have impressed Engineer so much that he wondered how the Indian selectors can afford to leave him out in favour of the seasoned Dhoni for this year's World Cup in England. "Question is, for the World Cup will you pick Dhoni? How can you drop Pant? He's done so well. These are the questions for the selectors the three selectors who between them must have played one and a half Tests," he said, before he was corrected that there was a five-man selection panel now with two more additions to the list. "I don't want to sound harsh. Give him time. He (Pant) will improve. I wish I could have a couple of times with him to make him a good wicket keeper," said Engineer. "A good wicket keeper moves his feet, goes to the ball and does not dive all the time; uses his feet all the time," the Mumbai-born stumper of the 1960s and 1970s said. "He's young he will learn from mistakes. Wicket- keeping is not taught, it's a natural thing. He has to iron out certain elementary things. I love his approach, but the way he got out in the first Test when India were in trouble," he said.
" He got out to a stupid shot. If he had done that in our time he would not have played another Test. But he buckled down later. He's such a good, natural player. I wish him all the luck. I am sure his wicket keeping will improve," he said. "Dhoni was the same, was dropping straight forward balls. Sachin (Tendulkar) brought him over to me in England when I was commentating for ESPN. I said what do you do and he said - I see the ball, take my eyes off it anticipating it to come into the gloves and I said 'you should watch the ball right till it comes into the glove'," said Engineer. "There are no wicket-keeper batsmen; all are batsmen-wicket keepers who can score runs and also keep wickets. In Test cricket you can't afford to drop a catch. It does not come often," he said. "I had a lovely text message from (chief coach of team) Ravi Shastri when I sent a congratulatory message. He has done a terrific job. He, Virat Kohli, our pace bowlers and how can I forget (Cheteshwar) Pujara? He's a stone-waller - the get-me-out, come-to-me sort of (batsman). He tired out all the (Australian) bowlers. People like Pant and Virat capitalised on the tired bowlers," he said. "And Australia were without (the banned Steve) Smith and (David) Warner. But it was not our fault they were not available. All credit to our team, specially the pace bowlers. They achieved something which we couldn't. But we played against some khadoos (stubborn) elevens and most of these players would not make those teams," Engineer remarked.